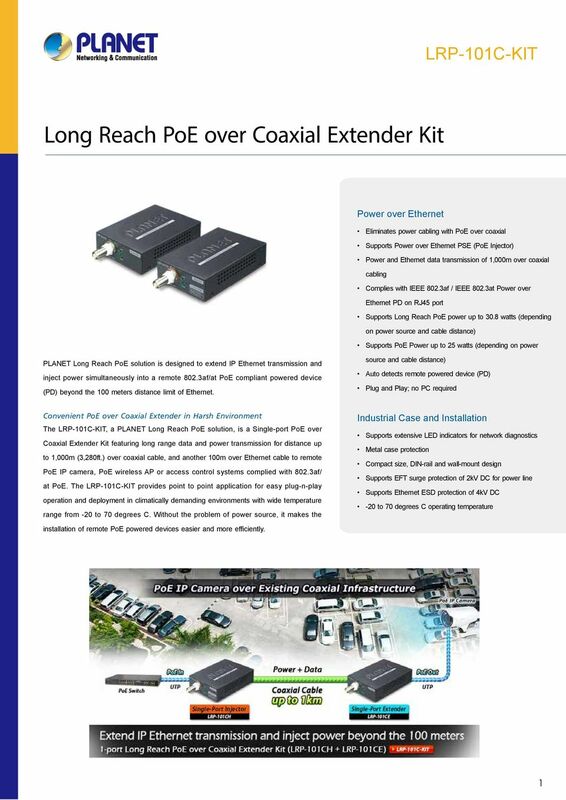 Download "Long Reach PoE over Coaxial Extender Kit"
Power over Ethernet (PoE) Power over Ethernet (PoE) sends direct current (DC) voltage and computer data over the same Ethernet cable, enabling a device to receive DC power and computer data simultaneously. Your single source for network transmission solutions. 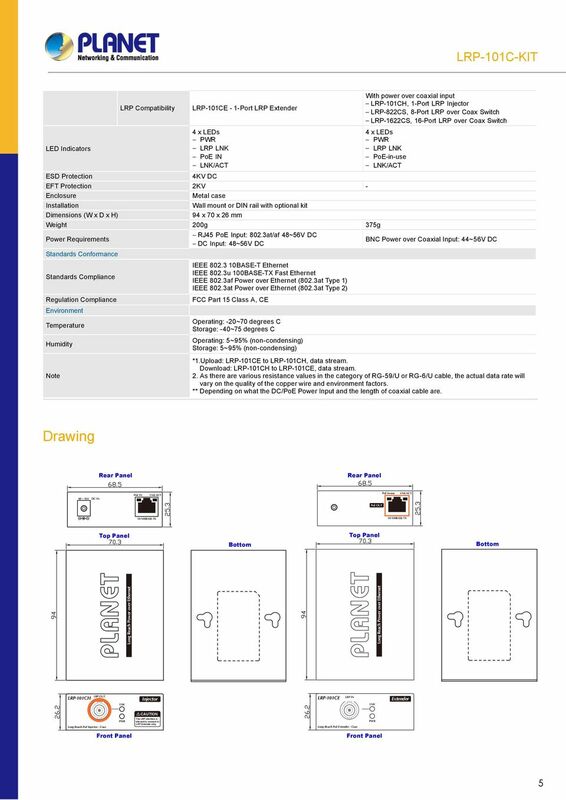 Design Guidelines for PoE Based Security Systems. Carlos Carle, P.E. 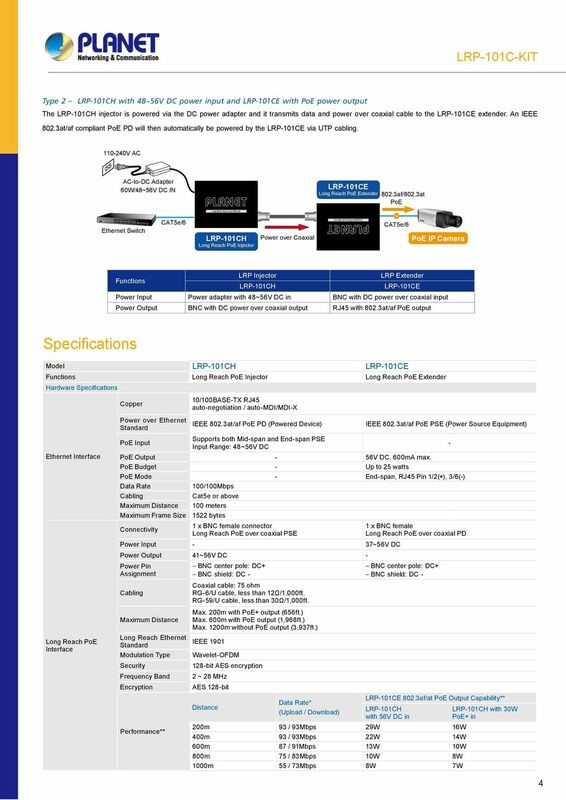 SignaMax Systems, Inc.
FILTERING/FORWARDING RATES 100Mbps port - 148,800pps 10Mbps port - 14,880pps. TRANSMISSION MEDIA 10BaseT Cat. 3, 4, 5 UTP/STP 100BaseTX Cat. 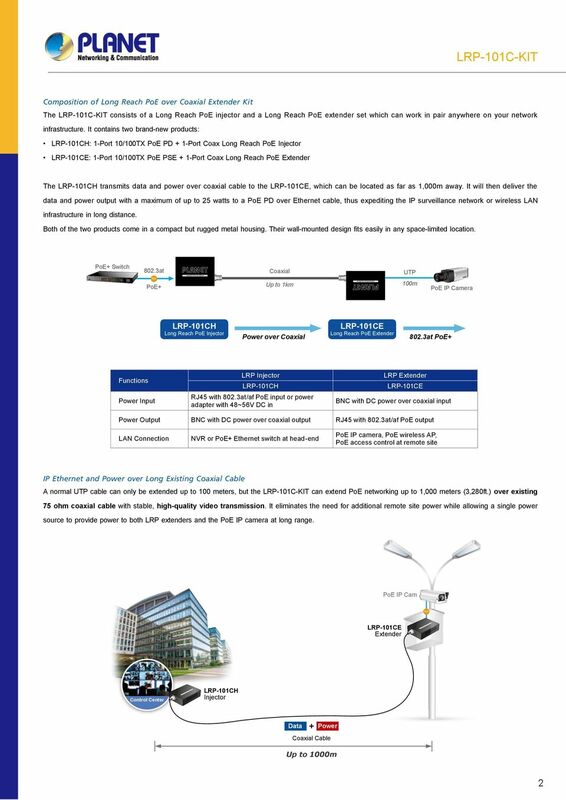 COBRA Power over Ethernet Products for IP Surveillance Applications LAN POWER SYSTEMS. 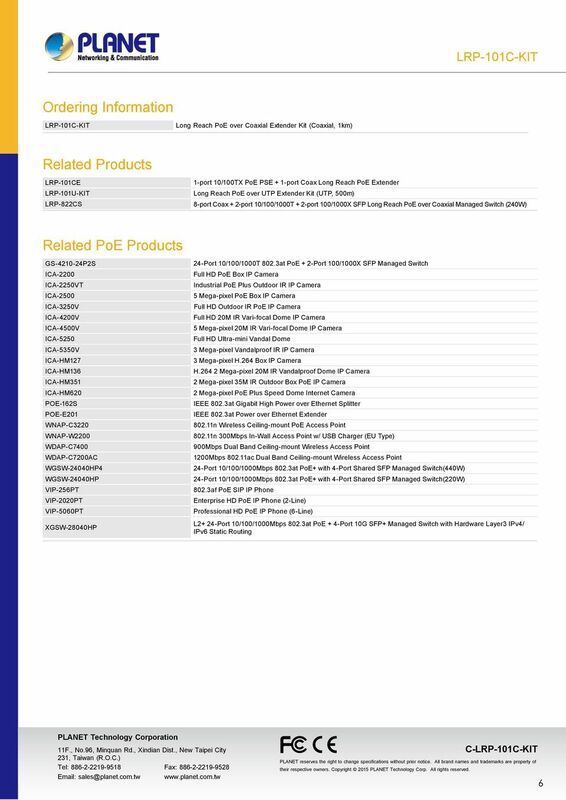 Trend Datacom USA, Inc.
EAGLE Power over Ethernet Products for IP Powering Applications. 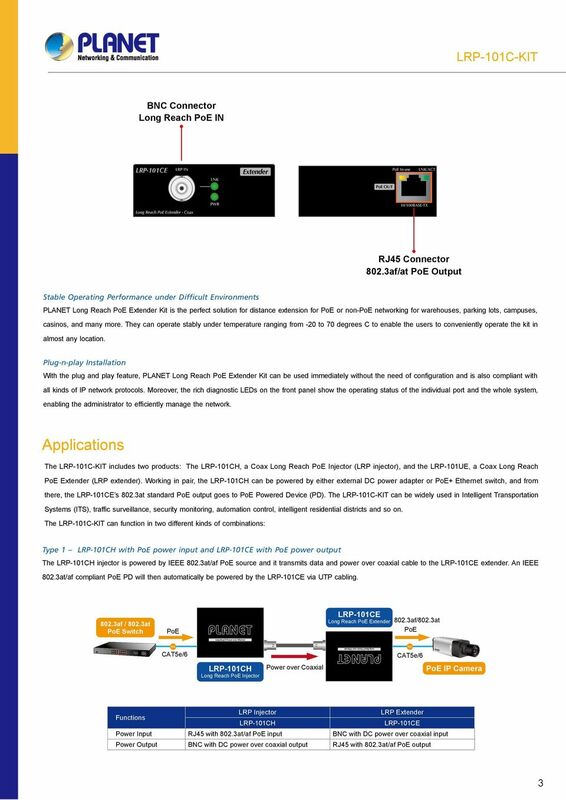 Flexibility, Simplicity and Value LAN POWER SYSTEMS. Trend Datacom USA, Inc.